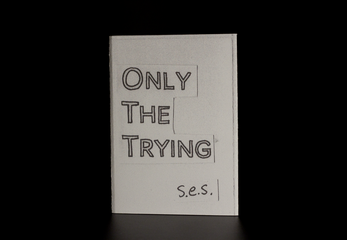 Only The Trying by s. e. s.
Only the Trying is a small poetry zine consisting of five poems that are all 140 characters or less. 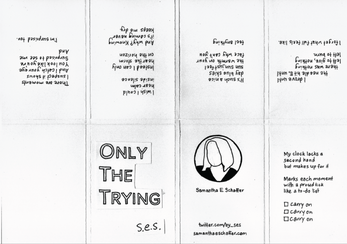 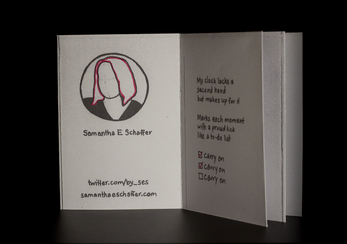 The zine is available in both a multi-page PDF for digital reading, as well as a single page PDF so you can print and fold your own copy of the book (and if you do, please tweet me a photo of it~). 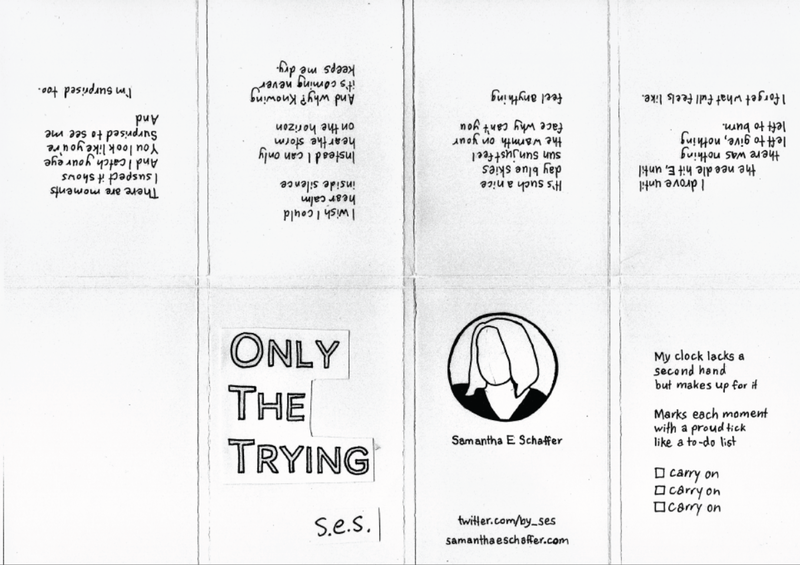 The poems in the zine were first published on my poetry twitter @by_ses.